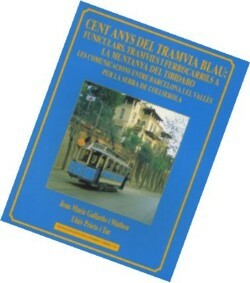 In the year 1901, now one century ago, there inaugurated a system of transport combined between an electrical streetcar and the funicular one (the first one in Spain) that would communicate the city of Barcelona (Sant Gervassi of them Cassoles) with the top of the mountain of the Tibidabo. This system of transport was forming a part of an urbanization created by the Doctor Salvador Andreu i Grau that was trying to urbanize the mountain. Proving that the Town hall of Barcelona was trying to preserve the mountain, the S.A. THE Tibidabo created a fairground and rooms of holidays in the top of the mountain and that have lasted up to today. The S.A. The Tibidabo was claiming expansionarse beyond Collserola's Saw (mountain that wraps Barcelona, the culminating top of which it is the Tibidabo) for the slope of the mountain, up to Vallvidrera and also her to cross and to come up to the plain of the Vallès (cities of Ruby and of Terrassa). Of this career for communicating Barcelona with the plain of the Vallès for Collserola there were realized several attempts, of which we stand out in the book, the streetcar of l'Arrabassada's Casino, Sarrià's small railroad - attraction to the Marsh (the Mina-Grott) and finally, the railroads of Catalonia S.A., company with strong interests and the capital proceeding from North America the related to the industrial electrification of Catalonia (Irrigations and forces of the Ebro S.A.). This book edited in collaboration dels Amics of the Railroad of Barcelona (AAFCB) is a summary of the articles that there wrote in the magazine RAIL missing Mr Joan Mª Gracefullly i Matheu extended and updated by Lluís Prieto i Tur. Languages: Català, spanish and english. Authors: Joan María Gallardo i Matheu, Lluís Prieto i Tur.